During the financial crisis, I remember being scared about how bad the markets got and wondering if the nosedive would ever bottom out. Even though I had decent job stability back then, I was still fearful of getting laid off. Little did I know, many years later I would end up eagerly raising my hand to get let go of my job. In his book, Sam reveals details about how he negotiated a layoff with his previous employer and walked away with a severance package worth over six years of living expenses. Wow! I couldn’t believe it when I found out six years not a typo! As fate would have it, working on that project with Sam and reading his book planted a wonderful seed for my future. I’ve dabbled in a lot of different things in my career. I’ve worked in accounting, marketing, advertising, editing, operations, project management, financial services, management, blogging (learn how to start a blog here), freelance writing, and even teaching music. Why is my work experience so broad? I had a lot of internships and part-time work while I was in school and have kept myself busy and engaged with side gigs and consulting projects in my free time. Life is too short to only do one thing! As far as full-time work goes, I worked for three companies over the course of 13 years. And of those 13 years, I spent the last decade working for a medium-sized private company located in San Francisco. I did well there and moved up the ranks, but it wasn’t always easy. I was denied a promotion that I deserved, worked many 12-14 hour days, had to take a lot of crap from demanding and grouchy clients, and rarely had a break from stress towards the end. After a long and arduous journey, I found myself amongst the top seven most senior people in our office. I loved my title and the autonomy, but my health and personal life were really starting to suffer from the effects of incessant stress and constant pressure to exceed insatiable expectations. I don’t like to get emotional when it comes to work. Even though I can be a sensitive person, crying or yelling really don’t belong in the office. It is too awkward and upsetting. But man, when you hit rock bottom, it’s super hard to hold your emotions back. Last September, after I cried myself to sleep one night because I was so upset about how much my job was affecting my life, I finally said enough is enough. Even though there were some great benefits of that job, they weren’t worth the pain the stress was inflicting on me anymore. I didn’t want to walk away with nothing, however, especially after investing ten years of my life with the company, so I put on my boxing gloves and started preparing for the first of many conversations to engineer my own layoff. I had no idea how things would pan out. Would I really be able to convince the company to lay me off and give me a severance package? If I let too much doubt creep in, I wouldn’t have a fighting chance. So instead of taking the easy way out of just handing in my two weeks notice, I embraced the truth that I was ready to walk away from that job and had nothing to lose in asking for a separation agreement. It’s natural to have doubts that you can pull something like this off because it isn’t commonly done. The only person I actually knew who’d ever done it before was Sam. Being able to get paid to leave a job I no longer wanted just sounded too good to be true. I didn’t know anyone who ever asked to be laid off at my company. My firm was private, secretive, and rigid. Key executives had a reputation for being very cheap. One particular person I knew who would be involved in negotiations had always been hard to work with. We weren’t on bad terms, but he could be awkward and difficult to communicate with. The company was understaffed so cost-cutting didn’t seem like an effective argument. Senior executives were notoriously slow at making decisions at everything. I didn’t have relationships with anyone in the almighty executive committee who sat in another office. Knowing I had nothing to lose, I distracted myself from my doubts and started to build my confidence by focusing on the positives. The more I thought things through, I realized I had a lot of things going in my favor. I had the same boss for ten years, we got along great, and he had always supported me. I was close friends with our HR Manager and still am, and she was also always very supportive. I had been with the firm for ten years and was a valuable asset. I had a lot of niche knowledge and expertise that nobody else did. I was one of the top seven employees in our office. I was already diligently saving money, so I had a financial cushion to fall back on. I had been moonlighting projects and gigs on the side for years already so I had other ways to earn income. Besides work stress, I was struggling with health issues and personal stress as well. While those problems themselves weren’t good, they provided a strong case for getting out. I wasn’t in an immediate rush to leave and was willing to be flexible on my end date. The company had recently laid off people in a different department. I got along great with my colleagues and didn’t want to leave them hanging or screw them over. 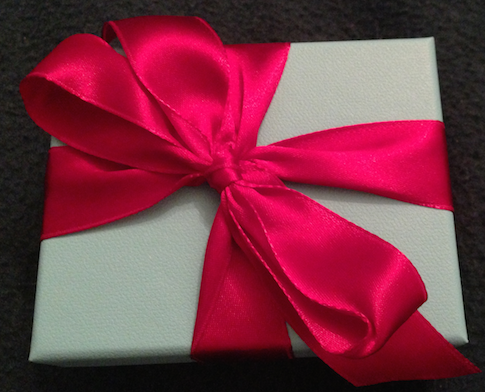 I was super emotional when I made the decision to ask to be laid off. It was the closest I’d ever been to a mental breakdown in my life. Although it was a difficult time, I can appreciate now that it was actually one of the best things that happened to me. Stubbornness can make us resistant to change and blind to the obvious. And sometimes it takes hitting a wall at full speed to recognize we need to make some major changes in our lives. There is no doubt in my mind that stress is literally toxic to our bodies and mental health. And my managers knew that very well. All in all, it took about 10-15 conversations with HR and my direct manager to negotiate my separation from the company. Some of the meetings were short or migrated into unrelated topics. Others were long, personal, and tearful. I wanted closure and the company wanted more time. My patience was definitely tested because there was a lot of waiting involved. All of the back and forth negotiations felt like eternity but at least I had a huge weight off my shoulders just by telling them I wanted out. Some of the terms we were negotiating included my final end date, alternatively getting a significant pay raise as motivation to stay, altering my workload, reducing my hours, taking a leave of absence, extending my benefits, erasing my taken vacation days, and severance pay. It took over a month of waiting to get a final decision from the executive committee about my fate. As in most negotiations, you tend to meet somewhere in the middle. I asked for what I thought was fair given my seniority and length of service, and the company had a different opinion. The ultimate decision lay with a couple execs I’d never met in another office. Even though my boss wanted to do whatever possible to help me out, I’m sure that not having a direct connection with the final authorities prevented me from getting more. But I tell ya’, even though they low-balled my initial offer, I got the most I could get out of them. This was the hardest I’d ever negotiated in my life. And a lot of people, myself included, spent a lot of time working out this deal. There comes a time in negotiations where you can sense that pushing any harder will backfire, and I definitely got right as close as I could to that point and fortunately didn’t cross over the line. * Settled on an end date five months out from the day I first started negotiations. This was originally going to be four months, but I ended up asking for an additional month right before my original agreed upon end date. * Immediate reduction in my workload. The first month and a half was still busy, but after that my workload dropped significantly. I handed things off without any guilt, took my foot off the gas, and coasted. * Immediate full flexibility to come in late, leave for doctor’s appointments, paid leave to interview for jobs, and work from home. I had a lot of personal stuff going on, so this helped a lot. * I got to pick my replacements. Yes, replacements. They finally recognized I did a s$i7 load of work and needed more than one person to take over my entire workload. I wanted to leave my closest colleagues in good hands, so I actually enjoyed identifying great people to take my place. It was a bit weird interviewing folks in the beginning, but I got over it. * Four vacation days I’d taken earlier in the year that weren’t logged in the system were not taken out of my accrual. They didn’t want me to schedule any more vacation days, but they gave me a free vacation day after Christmas. I hadn’t been able to take the day off after Christmas for ten years, so that was nice. * Got paid out for 23 vacation days. They would have had to pay me for 18 of the 23 days regardless, but I got the five “free” days paid out, and also earned an extra 2.5 days by extending my end date by 30 days. * Maxed out my 401(k) for 2015. This wasn’t part of my package, but because I stayed long enough into 2015, I had enough paychecks to contribute a full $18,000 that I otherwise wouldn’t be able to after leaving. This was another motivator that led me to negotiate an extra 30 days. Never leave tax deduction opportunities on the table! * Two and a half months of fully paid healthcare and dental insurance benefits beyond my end date. * Out-of-pocket access to the same healthcare and dental insurance plans for 18 months via COBRA, which is required by law, but is still a benefit that I am able to take advantage of. * And the final nut, twelve weeks of continued full pay after my end date. This equates to six months of living expenses. It wasn’t as much as I wanted, but I feel good about it. Six months is a great runway to build up my freelancing projects, continue searching for new job opportunities, and be FREE! I never would have even thought I had a chance at negotiating all of this and gotten paid to leave my job if it wasn’t for Sam’s e-book, How To Engineer Your Layoff. So, a HUGE thanks to the personal finance genius, infinite optimist, and master negotiator, Financial Samurai! 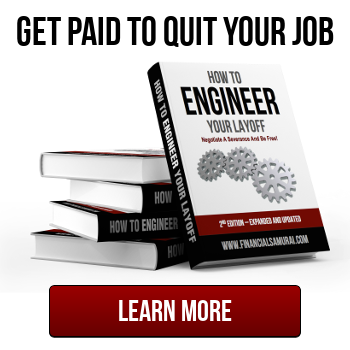 Eager to read How To Engineer Your Layoff? Learn more about the e-book that enabled me to get tens of thousands of dollars to leave my job. It really is a no-brainer to get laid off versus quitting. I was able to get a severance, two months of WARN Act pay, health care for a year, all my vacation days paid, and be eligible for unemployment benefits. Also, just 10 months later, I was able to go back to my old firm and consult with them on a part-time basis doing easy, stress-free work for a 30% higher raise. Click here to access the How To Engineer Your Layoff e-book store page. Start Using Free Financial Tools To Grow Your Wealth – I highly recommend opening a free account with Personal Capital to help track all of your money on one safe and secure place in the cloud. You can track your net worth, analyze your cash flow, xray your investment portfolios for excessive fees, and figure out your retirement better with their award-winning retirement planner. They are the best free financial product on the web today. Get A Free Personalized Investment Plan – Wealthfront is an excellent choice for personal wealth management for those who want the lowest fees and can’t be bothered with actively managing their money themselves. Wealthfront charges $0 in fees for the first $10,000 you invest with them, only 0.25% for any money over $10,000, and only have a $500 minimum to get started. Invest your idle money cheaply, instead of letting it lose purchasing power due to inflation. Start Your Own Website & Grow Your Brand -Want to make more money? Work on building your brand by creating your own website the easy way with Bluehost for super cheap. You can register your domain for under $20/year and get hosting for only $2.95/month. Whatever your interests are, focus on building your skills and developing your own unique niche! I’ve been blogging since 2010 and it has allowed me to break free from the corporate grind to travel, work from home, and do so many more things I’ve always wanted to do but couldn’t. There’s not a week that goes by where I’m not thankful for starting this site! 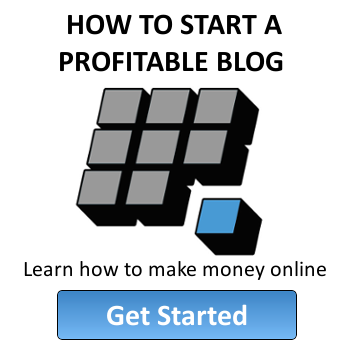 Read more about how to start a blog. That is an amazing accomplishment! Congrats for negotiating a severance package and being free! Thanks Linda! It took a lot of patience going back and forth and waiting all those weeks but it was worth it! It is so true that the worst that can happen when you ask for something is they say no. I had a friend that used to liken it to asking a girl out on a date and would say “she just might say yes”. Although it wasn’t everything you wanted, it sounds like you are pretty happy with the outcome. I need to ask myself “what’s the worst that could happen?” more often! Makes us take more risks and have more courage for sure! That quote is so much funnier hearing Adam Sandler’s voice in my head. I met him on a movie set once! Funny guy. Good info. You’ve answered some questions that I’ve had at various points, mostly centered about why the company would agree to ‘play ball’. I’m not in the market to do this so I haven’t purchased Sam’s book but I know it’s been very successful for him and others. This is a great writeup. Congrats! Thanks! I still can’t believe it worked! Yeah I totally know what you mean. I used have so many questions, doubting it would ever work for me because I kept asking myself “why would my company ever willingly agree to let me go?” Believing it can work was big for me. And also realizing that because they needed me so much, it made it so much easier to negotiate, not harder. Holy s$i7! :-) That is a great story, Sydney. You really did ‘win’. Congratulations, again, on changing your life for the better. I really admire you going out like a Baller, and it is clear your company had to come to terms with the sacrifices and value you brought to the job, the company, and their bottom-line. So happy for you that your health and overall well-being is improved by this decision. And it has to be that much sweeter for you that it was your decision. For those interested, I did something similar (thought not with Untemplater’s awesome negotiation results!) using the Financial Samurai book. Click on my handle for a guest post I wrote up on it. For those thinking about buying the book, think about all the free content you enjoy, and how you can support blogs like this and FS. Support your satisfactions. Buy the book. Thanks! It was one of the craziest periods in my life, but it totally made me a believer! And it was also one of the least stressful periods at my job towards the end too. It felt incredible handing things off, having time again to breathe, and also knowing I was leaving my team in good hands. And yes thank goodness my health is definitely improving! It feels great! I loved your guest post too btw. Each of our outcomes are unique and they are all success stories. Great job engineering your own layoff! By The Way, great post over on Financial Samurai. Would love to hear what you are up to these days. I totally think you could be a blogger if you wanted to. I would LOVE to get a severance package just before I retire next year. Who knows, I may even retire this year. If you’re already prepared to retire you have nothing to lose. It’s definitely worth asking and giving it a try later this year or next! I’m very pumped you were able to break free with money in your pocket Sydney. There is no better feeling like walking away with the feeling that YOU’VE WON. So many people have doubts about negotiating a severance. But people are successfully doing so every single week. Good job JayCeezy as well! Thanks again Sam!!! You have inspired so many of us and I am a believer! Yeah it definitely made me pause and give thanks when I found myself saying, “I feel like I’ve won.” Life changing! Wow — just wow. We have doubts about whether this would work at our companies, but this sure gives us an incentive to try! We’re still a few years off, but what a dream to get paid to leave. Every day, dreams do come true. You just have to have the audacity to believe in the possibilities. it never hurts to try! The worst they can do is say no and if you’re already ready to leave you’ll never regret having asked. That’s fantastic. You are a great negotiator. Sam’s book came out right after I quit my job so I didn’t have a chance to put it to test. It’s a great book when you have a little time, though. Sorry to hear about the stress and long hours. Hopefully, the next gig will be better align to your goals. Hi Sydney, in reading your personal story, I feel there is a way out without truly being out on the street. I’m sort of going through what you described, I’ve been with the same organization over 15 years currently in a managerial position and doing well. I’m just kinda done with the whole corporate world and want my life back. As a family we decided to make a drastic change and move oversees starting our own business which I’m thrilled about. Except it costs a lot of money to do so and just walking away from the job, well I guess I want to explore options such as a severance package. I’m just torn how to get started; I have a great rep, get exceeding reviews, have great relationships, blah blah. It’s a large Corp so nothing happens quick and nothing without legal input. I can’t imagine meeting with HR and getting something out of it without becoming a deliberate screw-up. Can you share any more details about your initial conversations and negotiations and have any other suggestions? First of all, congrats on being with the same firm for 15 years! That is a huge accomplishment. It also gives you a lot of leverage. I gained a lot of the confidence I needed to start my negotiations through what I learned from Sam’s book, How to Engineer Your Layoff. I helped edit the book so I became really familiar with the material and that helped me gain a lot confidence. I also already had great relationships at my job that helped out a lot and I also wanted them to feel like they were getting something out of the negotiate process too. Even though I breached my breaking point of stress, I didn’t want to just hand in my 2-weeks notice and leave them hanging. Plus, the high intensity emotions also gave me the impetus I needed to get the ball rolling. Sounds like you have quite an exciting future ahead of you! Even if negotiations with your firm aren’t quick, use that time to your advantage to save like crazy and start planning for such a big lifestyle change. Utilize your health insurance and retirement benefits too while you still have them. Best of luck! Thank you so much for your quick response and seeing what I thought as obstacles as incentives and leverage. I did plan to increase my 401k contributions for the remaining months. I read more articles on the book and definitely am considering purchasing it. Thank you for your vote of confidence !! Man this is a fantastic post. I’m getting chills just reading this post. We can’t let the employer have all this power, creating side income opportunities have started being a necessity because the employer will never be loyal to the employee. Great content and thank you for sharing! In short, they want me out & I want out even more-so! I’ve been with this organization three years and have endured all I can handle at this time. I was out on FMLA and short term disability – i returned to many changes in my position and staffing. I want out but I want compensation! I love your sharing, but it is not really a universal method for the majority. Not many things in life are truly universal. That said I still think there are ways to utilize severance negotiations for more than 90% of the working population. The results will definitely vary and not everyone will be successful, but if you never try you’ll never have the chance to succeed. 1. I left the corporate world in Dec. 2013 to build my own business. 4. Well, wouldn’t you know it, I still simply can’t quite accept the corporate environment as a fact of life. My fired-up mentality, which was once “OK, I want back in the corporate game, I’m going to make it work” was quickly doused with a draining corporate culture, no direction, sink-or-swim mentality, and a manager who is cold and uncommunicative. Along with the hour commute each way and 9 hours in a box pushing product I don’t care about and dealing with customers who are difficult, I feel I have to leave. I’m tempted to let them know that I’m not happy here to see what they would do, instead of just giving my two weeks. One customer service agent was given two months severance pay when she said she was overwhelmed with work. But that’s CS and I’m sales (probably twice the pay). Any thoughts you have on moving forward would help. Thanks for the great and relevant content. I am in a similar boat as yourself. Started a job this past November and absolutely hate it!!! Been there almost 7 months and can’t stand the culture there and have been miserable since pretty much month 1. They know I am looking to leave as I asked for a raise/bump in salary and they turned me down three times. Now they want to bring my predecessor back and let me go………I will not just go without me getting something from them in return and having to deal with this bad situation. What did you end up doing? are you still stuck in that sales job? or did you ask for a package? Just curious. Thanks. I am in a weird situation. Been with the company for >10 years, highly valued employee. Company had huge layoffs (70% RIF) recently but I survived. Now they are closing our facility and I’ll have absolutely nothing to do, no projects, no responsibilities, no plans. I want to ask to be laid off, but what if they just fire me for not being loyal to the company? Can they do it (one month passed after layoffs)? Our CEO is a little ‘not here’ and we hardly have any HR (contractors whom nobody normally sees). Any advice? Hi Peter. Sorry to hear about your situation. If your facility is closing down, there’s a chance another round of layoffs could be on the horizon, so raising your hand could actually be a relief to your manager. You could approach it in a way of showing empathy for the hardships and momentous changes management and the company are going through and let them know you’re willing to volunteer yourself to be let go if a need arises. I’d recommend starting your job search now to get something lined up sooner rather than later if you want to try to avoid a long gap between jobs. Best of luck.